College of Mechanical and Electronical Engineering, Shaanxi University of Science and Technology Xi’an, China. For the crank-group driving mechanism, the assembly clearances can offer the possibility to remove overcoming processing errors. But the clearances inevitably affect the dynamic characteristics of the mechanism. 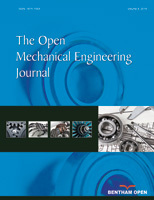 In this paper, the dynamic simulation model of the crank-group driving mechanism is established by NX/Motion Simulation which is based on the mathematical model of planar link mechanism. The comparative analysis is conducted regarding the dynamic characteristics of the mechanism which is influenced by different clearances, different angular velocity, and different damping. The simulation results show that appropriately increasing the angular velocity, increasing stiffness and damping of the components can effectively inhibit the adverse influences of clearance on the dynamic characteristics of the mechanism.